Truly and Natasha used to be best friends before Natasha ditched her to be part of the popular crowd. Now Truly considers Hazel to be her best friend so she is surprised but happy when Natasha invites her to sit with the in crowd at lunch. Truly goes off without a thought for Hazel and Hazel is so hurt and angry she decides to get revenge by hacking into all of Truly's social media accounts and posing as her. The rumors, snubs and accusations fly from there with everyone getting involved. 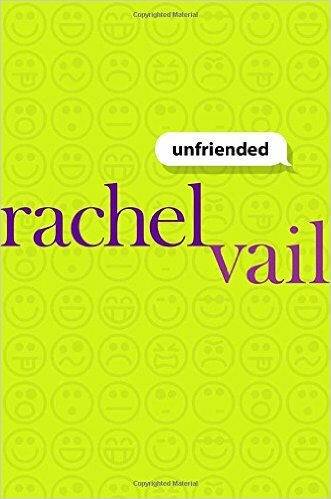 This book has characters who are deeper than you would imagine but it is still basically a mean girl story although one set right now with all the pop culture and social media references. The trick is that it is difficult to pinpoint who, exactly, is the mean girl. Natasha definitely falls most neatly into that category but even so we find out some motivation for her behavior. Everyone else makes mistakes but also do admirable things which is part of why the book is more worth reading than others that seem similar.